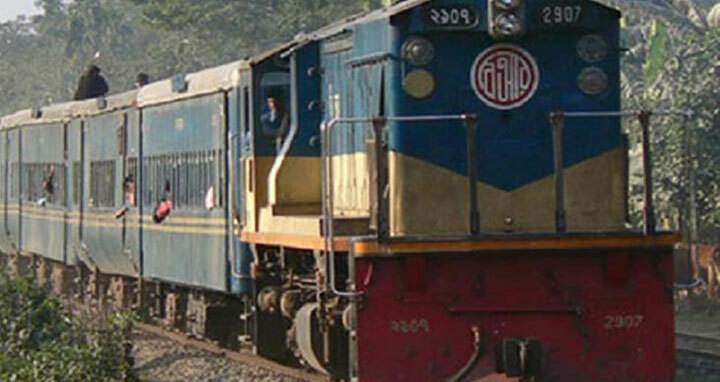 Sylhet, 29 Dec, Abnews: The rail link between Sylhet and other parts of the country has been fixed. A salvage train from Akhaura went to the spot and recovered the oil-laden train at around 12pm Friday. Earlier, the rail communication of Sylhet and other parts of the country got suspended following a derailment of compartment of an oil-laden train at Shayestaganj in Habiganj. The derailment took place at Daudnagar rail gate on Friday morning, said Shayestaganj Railway Station master Saiful Islam. Saiful Islam said that the oil-laden train was moving towards Sylhet from Dhaka. At one stage, one of it’s compartments derailed at about 10:30am, halting Sylhet’s rail communication with Dhaka and Chittagong.